7 figure months is a binary options product promising to make traders a guaranteed minimum of $1 million each month. On top of that, there is a promise that if we sign up we can make $35,000 today. This is clearly another binary options developer that’s making aggressive promises as a way of trying to hook us in. Today I will be providing a review so that we can understand if there’s more to the system then just a handful of over aggressive claims. The 7 figure months website really leaves a lot to the imagination. It only consists of a YouTube video and an email subscription form, nothing else. The members area is where we can find more information on this product so I’ll investigate there and compile more information for this review. The story behind this product is that “just over 12 months ago Martin Saunders discovered a secret loophole that has been responsible for making him over 1 million every single month.” Tricks, loopholes and binary options promises are very dangerous territory. Stories in this market are just that, stories, and I don’t feel they should be trusted. I’m really not interested in hearing about how a trader stumbled upon this incredible method or strategy that is suddenly making them millions of dollars a month. These stories aren’t believable and when making an investment I don’t want to base my opinions on fiction. When making an investment I want details about the strategy and I want in-depth results, that’s not too much to ask. So, let’s take a look at the 7 figure months results. We can find the results for the system in the members area. There are 4 traders and each one of them is showing major profits. First, there is Stephen D and according to the webpage he had a starting deposit of $300 and in 5 months has earned over $5 million in profit. Then there is Helen L, and she joined in May 2016 and is averaging over $1 million a month which puts her at a total profit of over $2 million. There are 2 more testimonials but I think you get the point. None of these 4 testimonials have any actual proof, it’s just an image of a person and a couple columns of text. Anyone could write this information, it certainly doesn’t mean that it’s true. Underneath these testimonials is a live account and we can see that the total profits of the 7 figure months system are growing by thousands of dollars every one second. Yet, if you take a close look at the table with the trading results this is not updating and hasn’t updated in over a week. So for some reason the total profits to date number is climbing extremely fast but the actual trades aren’t even showing up on the screen. This is a major discrepancy and considering that it’s a Saturday afternoon while I’m writing this the total profits shouldn’t be climbing either because the markets are closed. I’m not recommending 7 figure months to the binary today readers. 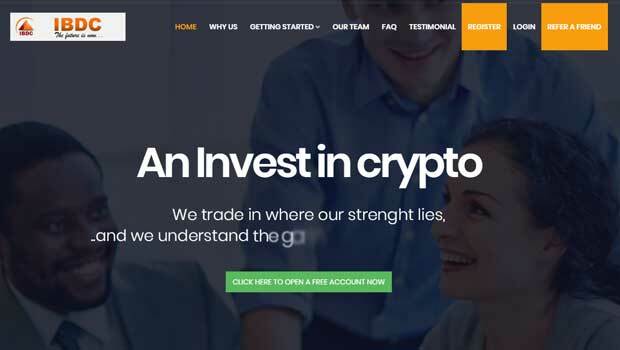 As I mentioned above, I don’t feel like we should be basing our investment strategies on fictional stories put together by binary options developers with websites that aren’t even working properly. I don’t feel like this developer is professional and don’t see how anyone is making millions of dollars using the system. Please leave a comment and let me know what you think about the 7 figure months software. I appreciate the community contributions even if they disagree with my opinions. I felt compelled to write that it seems like these developer’s promises are becoming more outlandish by the day. It’s ridiculous when a developer claims to have found a ‘loophole’ that somehow changed everything. I’m going to go out on a limb and say that there are no loopholes in binary options trading. Thanks again for pulling the rug out from under these charlatans!